AFTER Picture – Kitchen Remodel. 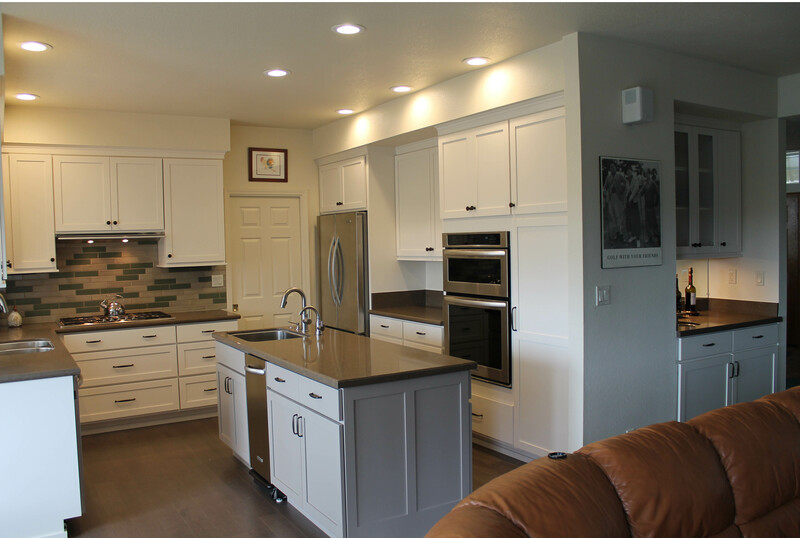 Cooks Kitchen and Bath is an experienced design / build firm specializing in start to finish residential remodeling. This picture shows one view of the updated modern kitchen with stainless steel appliances, subtle ceiling lighting with expertly designed kitchen work space for entertaining. The modern kitchen design is continued with a bar area just off the kitchen completing the home design meeting the client needs and budget.